The British Dental Association has expressed dismay that government advisors have concluded there is insufficient evidence to warrant a ban on sale of energy drinks to children. Even though several brands reformulated in advance of the Soft Drinks Industry Levy, several brands including sector leaders Monster still contain up to 14 tsp of sugar in a single serving – more than twice the recommended daily allowance for younger children. Sugary drinks are fuelling an epidemic of decay. The caffeine content in energy drinks also exacerbates oral health problems by inhibiting saliva flow. 46% of 15-year-olds had obvious experience of tooth decay in the last national survey. The acidity of these drinks is also a major contributor to dental erosion, which affects up to 44% of children aged 15. Products are currently required to carry a warning label that they are “not suitable for children”. The BDA believes that energy drinks should not be available for children to buy. “Dentists see the devastating impact energy drinks are having on children’s oral health every day. 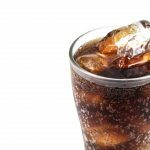 “It is bizarre we are still having this debate over products that are habit forming, highly acidic and can come laced with 14 teaspoons of sugar – far more than a can of coke.